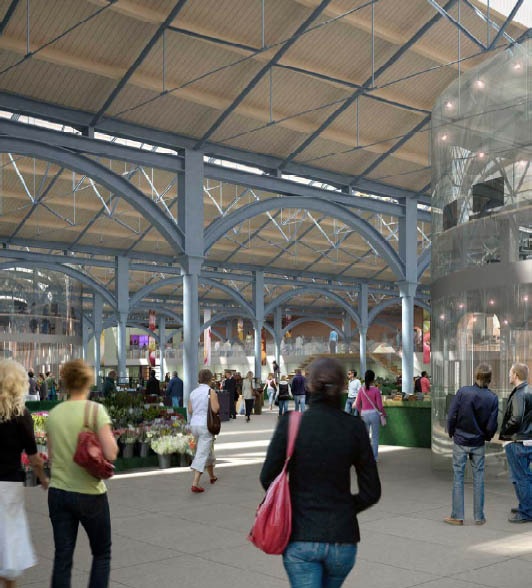 A collaborative design team formed by HKR Architects, Make Architects and Gehl Architects were selected to redesign and redevelop Dublin’s City Markets. The project was led by Nick Sutton from HKR, Ken Shuttleworth from Make and Helle Scholt from Gehl. 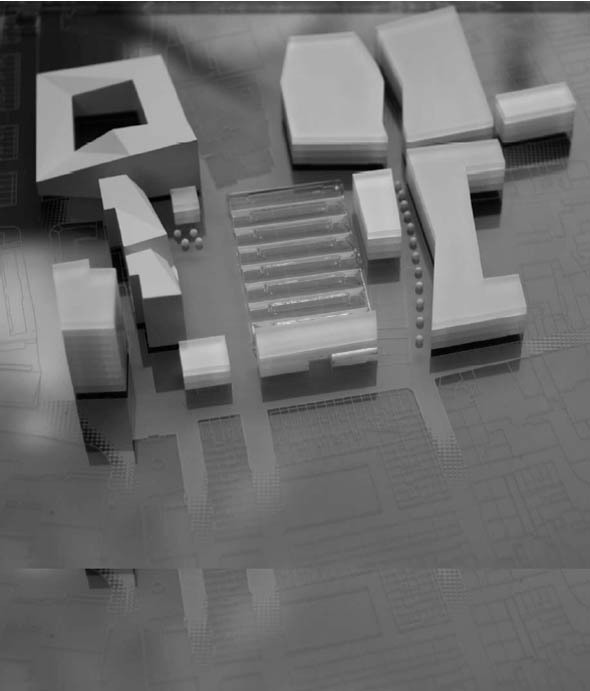 The brief was to develop a new gastronomic centre for Dublin with the redeveloped fish market site as the area’s focal point. 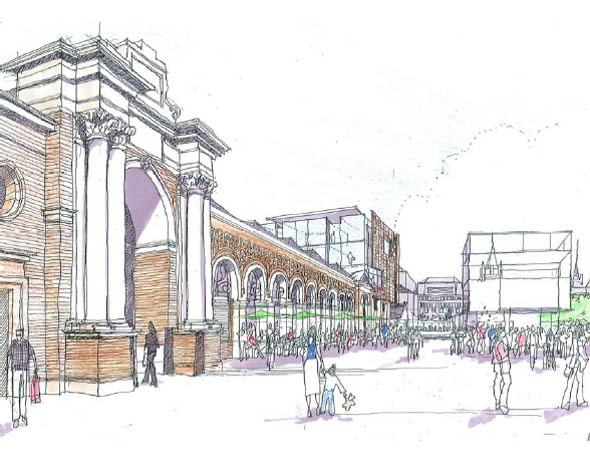 The brief also included the proposed regeneration of the Fruit and Vegetable Market building at the heart of the mixed-use development including retail and wholesale markets, residential and office accommodation, and food shops and restaurants. At the heart of the site, the Fruit and Vegetable Market was to be preserved within an upgraded structure and fronted by a spacious new public square.